If you are organizing or sponsoring a fatbike race or ride, please post a comment below to let us know. We might be able to help you promote it on RideFatbikes.com! In the meantime, we’d recommend a couple key resources for finding out about (and promoting) fatbike rides and events. First, our own Fatbike Library (at FatbikeLibrary.com) contains a list of rides and events we know about or that are submitted to us for inclusion. Second (but even more comprehensive) is the Twenty2 Cycles Race/Ride event calendar created and maintained by the good folks at Twenty2 Cycles (a platinum level sponsor of the RideFatbikes.com Fatbike Frozen Forty). Their calendar shows nearly every fatbike ride or race location, date or format you could ever hope to attend. Check it out here. If you’re looking for more information about the RideFatbikes.com Fatbike Frozen Forty (February 25, 2012), see the Fatbike Frozen Forty page. 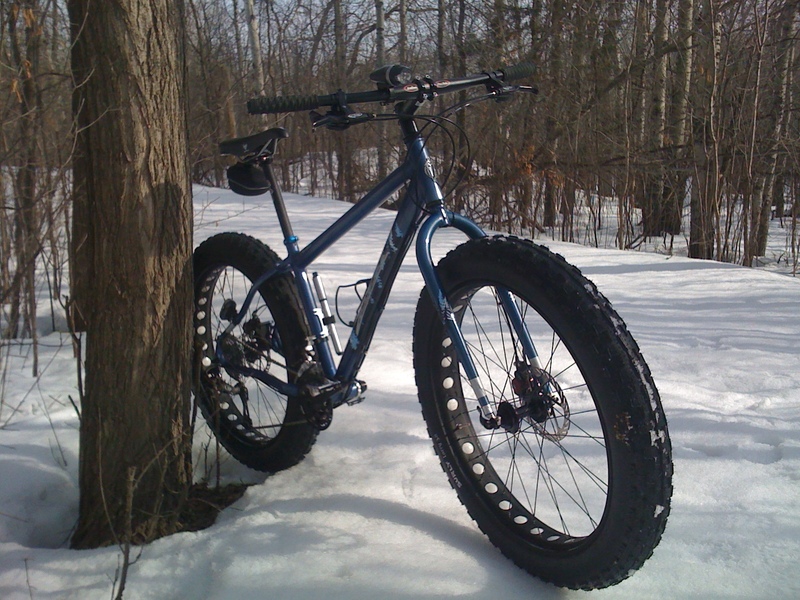 In the meantime, Ride Fatbikes! Tons of great trails to ride in the area! Another event in the Northern Rockies that will be making a foray into fatbikes on groomed ski trails….the 2012 Equinox Snow Challenge is March 24th and 25th in West Yellowstone, MT. Relay teams and soloists are welcome to enter the 24 Hour format multisport event on bikes, skis or foot and in 6, 12, or 24 Hour divisions. There will be separate courses for respective modes of travel, all of which will be primarily on groomed nordic ski trails. http://www.equinoxsnowchallenge.com is the event website.